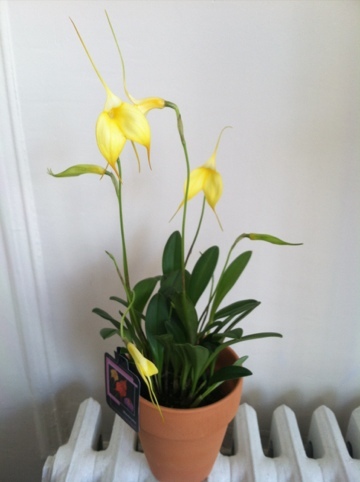 There are four open blooms and two that should open soon if this little guy remains happy. Plus, I see at least two more spikes growing as well as some new shoots. Woohoo! 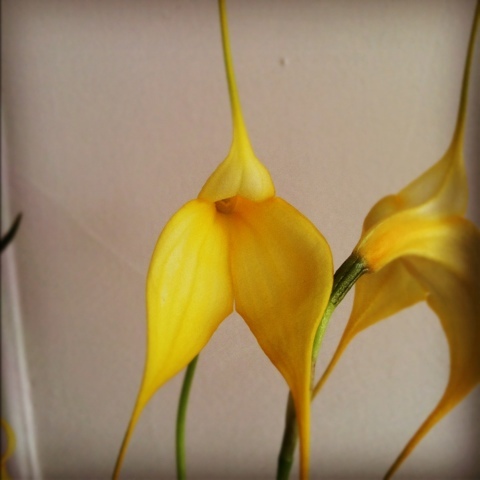 This is my first Masdevallia. Let’s hope I can treat her well! Okay, I’ll admit it. 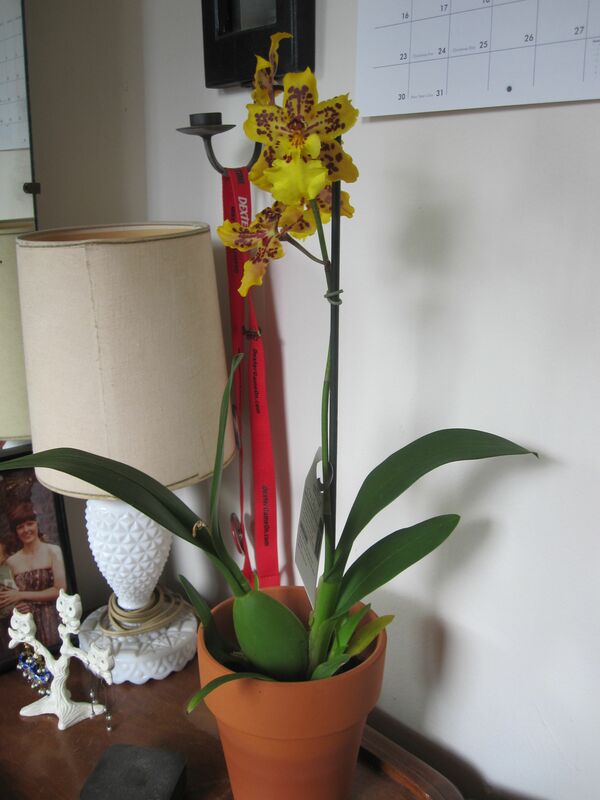 When none of my orchids are in bloom, I have a strong desire to buy more because I like to have something blooming in my home. 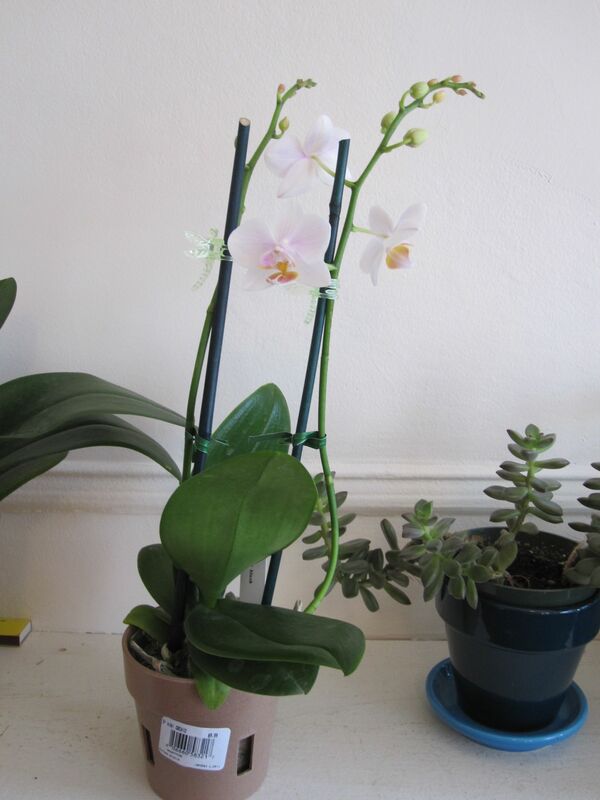 On Tuesday, I ended up buying a new Phal at Home Depot in Manhattan. 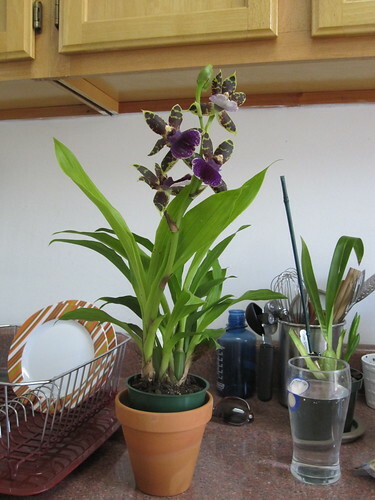 The very next day, I finished my volunteer shift with KittyKind at the Petco in Union Square and decided to check out the orchid selection at Trader Joe’s…you know, cuz it was so close by and all. TJ’s had a pretty nice selection of healthy looking orchids, including lots of Phals, some Oncidiums (I almost bought a second Twinkle Fragrance Fantasy! 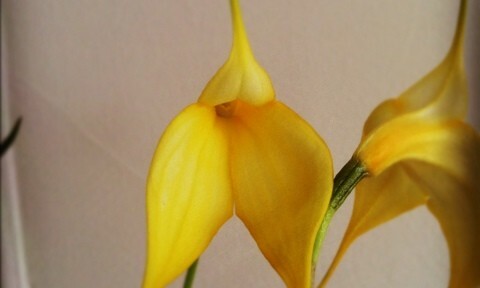 ), and Paphs. I ended up selecting a small Phal for only $9.99. 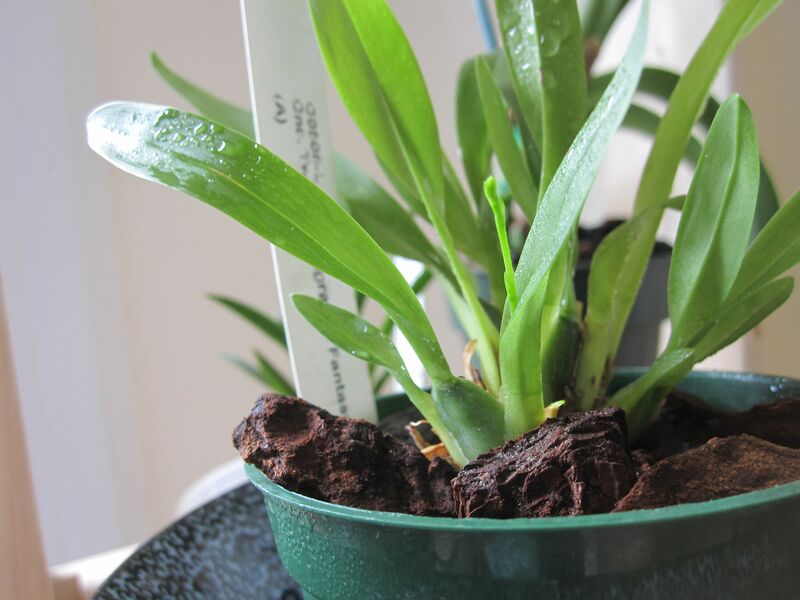 It’s healthy looking with two spikes and nice sturdy, grassy green foliage. See? 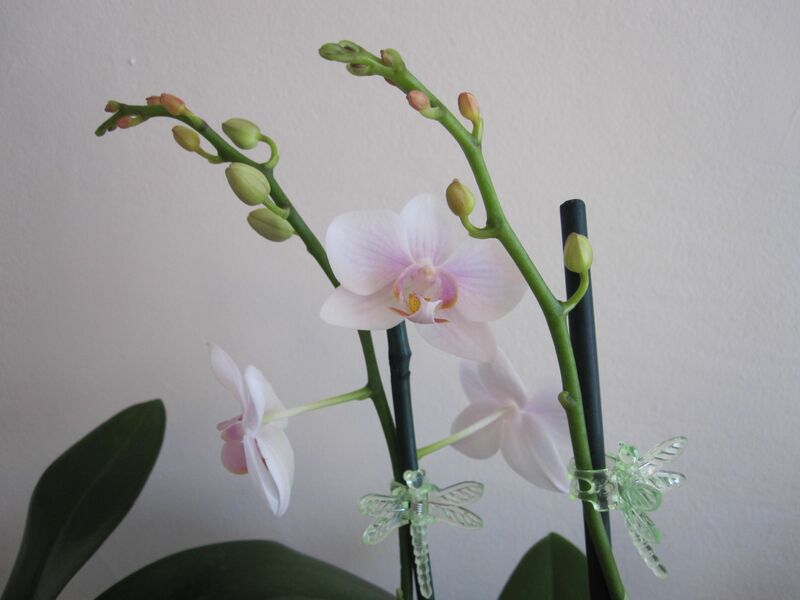 Whoa…Double Orchid Spikes all the way! 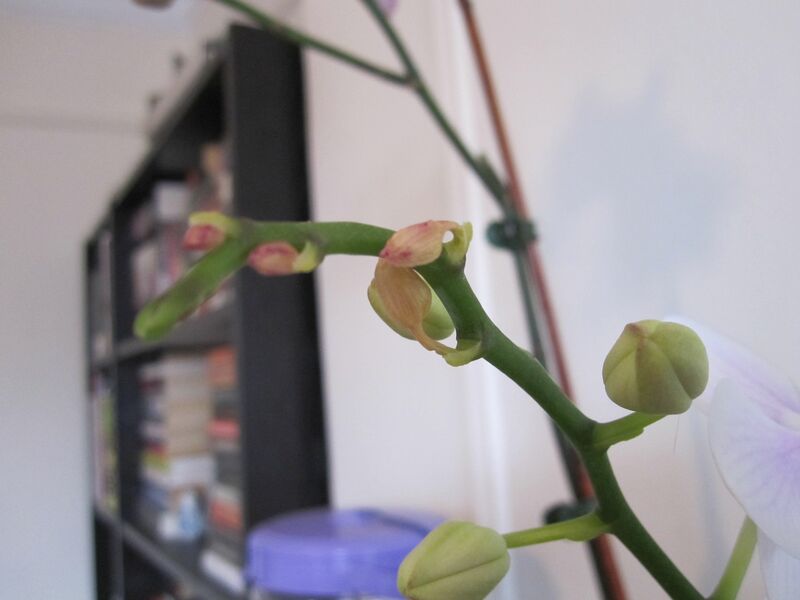 I wonder if the bud blast is due to my repotting this plant as soon as I got it home? 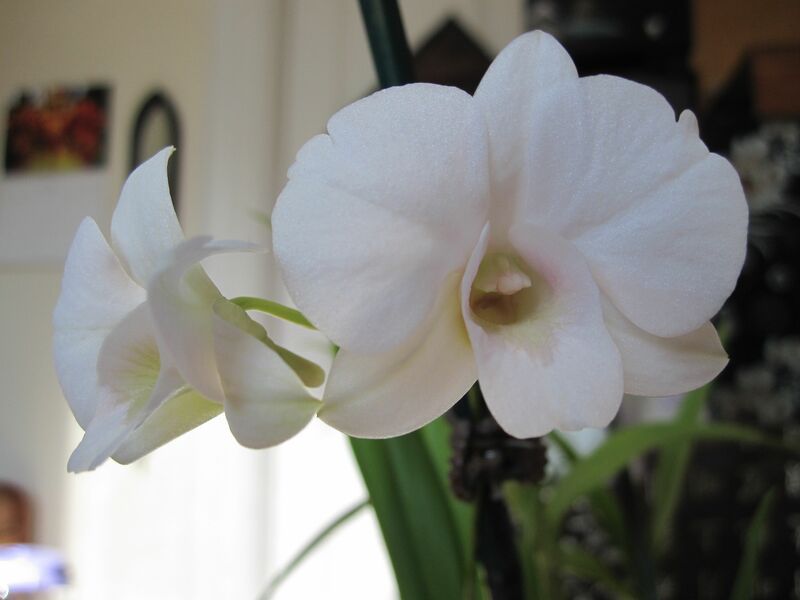 I know that repotting orchids in bloom can lead to loss of blooms. 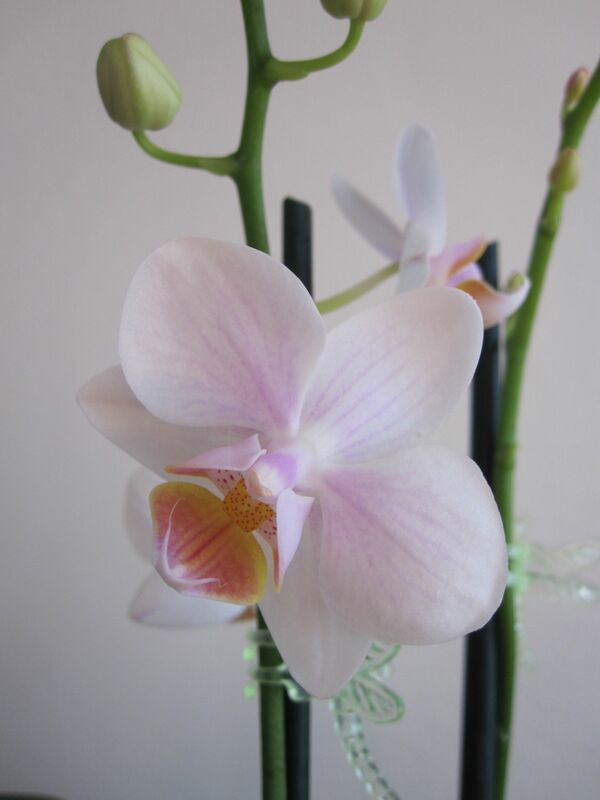 It could also just be due to a change in the orchid’s environment. At least I know that I got rid of the few rotten roots on this plant when I repotted it, and I didn’t pack in the sphagnum moss nearly as tightly as it had been when I bought it. Each spike is starting to grow a side spike, so with a little luck maybe those will become fruitful and bloom for me. Regardless, my two new Phals make me so happy! 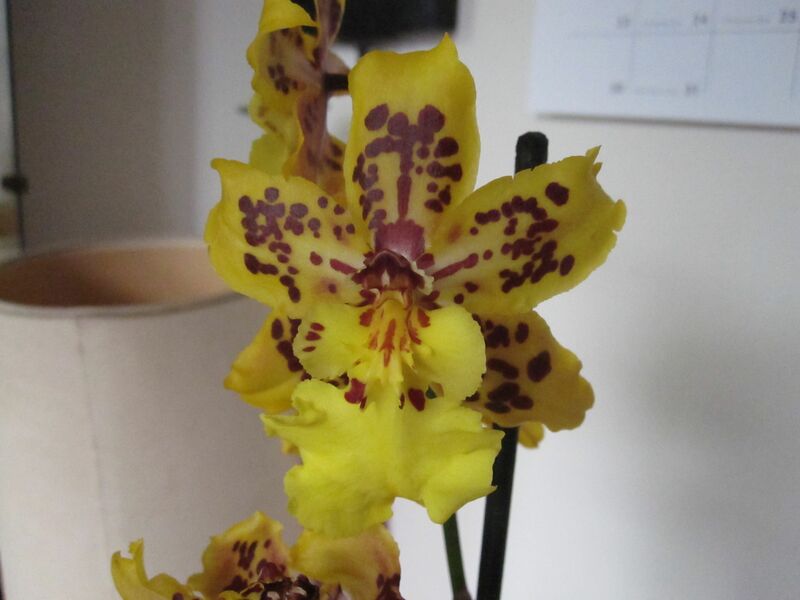 My first Oncidium is in spike!